A battle is taking shape over home-delivery of groceries that could have an impact on “last-mile” logistics. Wal-Mart Stores Inc. will work with Uber Technologies Inc. and Lyft Inc. to test a grocery-delivery service to compete more directly with Amazon.com Inc., the WSJ’s Sarah Nussauer reports. Last-mile delivery is proving a hot battleground, with startups like Instacart Inc. and DoorDash Inc. vying for a piece of the market and big players like the U.S. Postal Service, Uber and Amazon looking for ways to operate the business profitably. Google Inc. is expanding its delivery service and will start charging a membership fee, intensifying its battle with Amazon.com Inc. for consumer spending. Starting this week, Google will charge $10 a month, or $95 a year, for unlimited same-day or overnight delivery on orders over $15. Nonmembers will pay $4.99 an order, or $7.99 if the order costs less than $15. Until now, the deliveries had been free. The service, initially named Google Shopping Express but now known simply as Google Express, lets customers place orders online for products from physical stores run by retailers including Costco Wholesale Corp. , Staples Inc. and Walgreen Co.
Google said it is expanding the service to Washington, D.C., Boston and Chicago on Tuesday. It previously served the San Francisco Bay Area and parts of New York City and Los Angeles. The company is also adding retailers, including PetSmart Inc., Vitamin Shoppe Industries Inc. and Sports Authority Inc., and it has begun testing deliveries of some fresh food in the San Francisco area. Read more: Google Adopts a Delivery-Service Model That Targets Amazon – WSJ – WSJ. 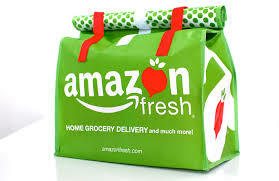 In August, the US Postal Service began a 60 day trial of a grocery delivery service in the San Francisco area in partnership with Amazon. Now the USPS is planning to expand that trial into a two year market test that would be available in other metropolitan areas (and presumably to other retailers). The Amazon trial used uniformed City Carrier Assistants (CCAs) to make the deliveries between 3 and 7 AM. The USPS won’t publicly discuss the pricing of the new service. Pursuant to 39 U.S.C. 3641, the United States Postal Service hereby gives notice that it intends to conduct a test of an experimental competitive product, named Customized Delivery. Customized Delivery is a package delivery service offering that will provide customers with delivery of groceries and other prepackaged goods, primarily during a 3 a.m. to 7 a.m. delivery window. The Postal Service may also test other customized delivery windows as part of this market test. 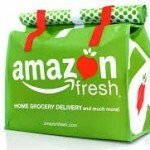 The market test, which will begin on or shortly after October 24, 2014, is designed for retailers to deliver groceries and other prepackaged goods in a customized delivery window, tailored to their unique offerings and customer base. In addition to testing the operational feasibility of customized delivery windows, this market test will also assist the Postal Service in determining the optimal pricing structure for this type of service. Grocery delivery services are expanding across the nation, with businesses ranging from the nation’s largest retailers, to niche operators, to the popular car service Uber entering the marketplace. With its operational reach, the Postal Service has an opportunity to provide retailers a nationwide solution that offers a trained workforce and the trust and reliability of the Postal Service brand. By expanding its carrier services and offering customized delivery, the Postal Service can garner profitable revenue through new revenue streams. Recently, the Postal Service began conducting operational testing for early morning grocery delivery. In the current process, the retailer brings groceries already packed into retailer-branded totes, some of which are chilled or include freezer packs, directly into Postal Service destination delivery units (DDUs) between 1:30 a.m. and 2:30 a.m. The totes are all the same size and color, and have a QR code on the outside. The Postal Service receives a manifest file from the retailer containing the address and QR code number for each tote. This file is used by the Postal Service to dynamically route totes and create a line of travel for each route. City Carrier Assistants (CCAs) scan totes using iPhone scanning, which provides route order information via a USPS-developed iOS application. The totes are sorted on the workroom floor by route and delivery order, and are then back-loaded to a truck for delivery. Deliveries occur from 3 a.m. to 7 a.m. These deliveries are unattended — the CCA will notring the doorbell or knock on the door. The carrier places the totes in a location designated by the consumer for delivery. Totes are scanned at key steps in the process to provide tracking and visibility through to delivery. CCAs wear postal uniforms and lighted caps as a safety measure and for easy recognition by the public. During the operations test, deliveries have been averaging 1 to 4 totes per address with an average of 160 totes per day for the 38 ZIP Codes included in the testing. Through this two-year market test, the Postal Service seeks to test and develop a long-term, scalable solution to enable expansion of customized delivery to additional major metropolitan markets across the nation. The Postal Service may also seek to test other possible delivery windows throughout the day, as part of this market test.